Enjoy your trip and stay fit! You don&apos;t have to be a member to spend a day at the YMCA or do a group fitness class. For $5, you can buy a pass to do a fitness class of your choosing. Options include but are not limited to indoor cycling, yoga, hydro aerobics, HIIT, kickboxing and Zumba. If you want access to the whole facility, purchase a day pass and it&apos;s good for the entire day. So if you want to come and do yoga in the morning and then lift, swim or enjoy other things the facility has to offer after lunch, that&apos;s fine. 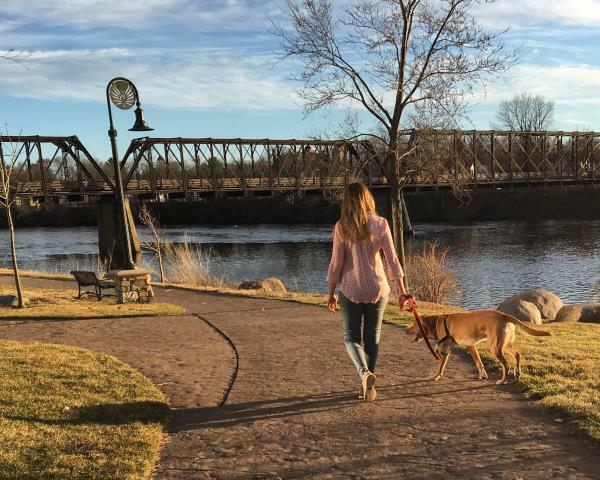 If you want to stay fit while in Eau Claire while also enjoying the local scenery, just spend a day on the Chippewa River Trail. While on the trail you can enjoy the city&apos;s multiple bridges (Phoenix Park, High Bridge, etc. ), historical Carson Park, great views of the river down by Hobbs Ice Arena and sites such as Half Moon Lake and the confluence of the Chippewa and Eau Claire Rivers in downtown Eau Claire. Whether you bike, walk or jog, the Chippewa River Trail is a great way to burn calories while you&apos;re in town. Just because you&apos;re working out doesn&apos;t mean that you have to sacrifice experiencing local culture. One way to enjoy both is to take a walk and enjoy the Eau Claire Sculpture Tour. Every year Eau Claire exhibits new sculptures from national and international artists for 11 months. 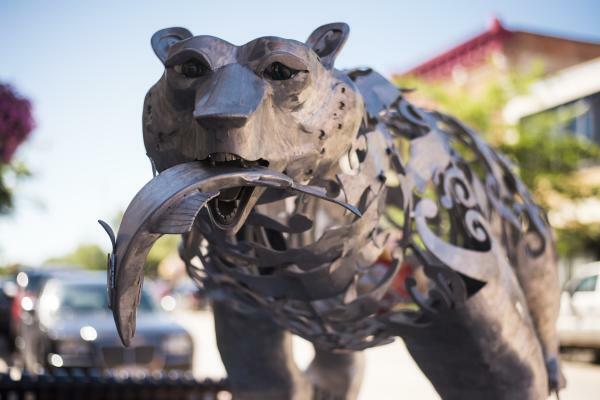 Local businesses sponsor the sculptures that are put up throughout the city. While in the downtown area, pick up a map to see where are the sculptures are located and get more information on them. Included with the map, you will find a ballot. Vote for your favorite sculpture in the People&apos;s Choice Award. The winning sculpture is purchased by the Sculpture Tour and becomes a permanent part of the city. Enjoy some public art and cardio at the same time. When you&apos;re a runner, traveling is a struggle. You&apos;re in a strange place and have no ideas where the best running routes are. Luckily, runners visiting Eau Claire don&apos;t need to have that problem! Blue Ox Running, located in downtown Eau Claire, has free group runs on Thursday nights. And the great part is that it&apos;s open to all ability levels. Routes are posted on the weekly event&apos;s Facebook page. There&apos;s always a long and short route. And if you don&apos;t know the territory, just ask others in the group. No one gets left behind. The group runs are free, but you&apos;re welcome to make a donation to the charity of the week. There is usually food, drinks and sometimes there will be fun events, such as the vertical treadmill challenge. You may even see reps from shoe companies there and get to try on new shoes that have just been released. You&apos;ll get in your run and also enjoy some great camaraderie with the locals. 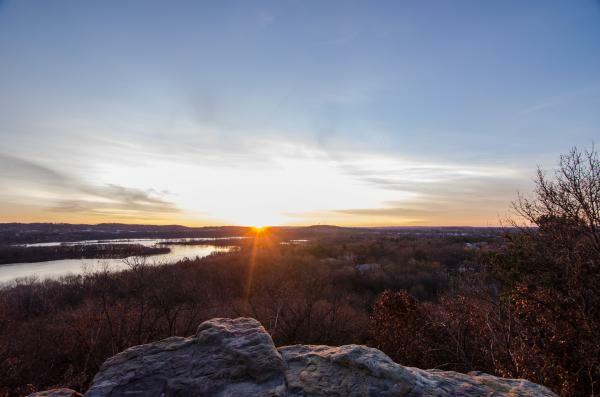 One of the best views in Eau Claire is the top of the world. It&apos;s located at Mt. Simon Park. If you&apos;re into hiking, this place is a must. Mt. Simon is a great place to explore. In addition to the great hiking trail, you can also play disc golf and sand volleyball. There are also great views down by the boat landing. This is another place you can be a tourist and keep up your fitness regimen. While you&apos;re seeing the city and also getting your workout in, don&apos;t forget to take some pictures and share them with us using #CaptureEC.